Make a donation to Stronger Than Pretty today. Film Independent’s Fiscal Sponsorship program opens the door to nonprofit funding for independent filmmakers and media artists. Donate today and help bring Stronger Than Pretty to life. A young mother’s American Dream turns into a living nightmare until she finds the inner strength to listen to a voice she hadn’t heard before: her own. Donna’s love story starts so sweetly. Nick charms her with all the right words and all the right actions that make it seem so easy and so possible to be happy. Nick’s words and actions change and become so abusive on every level that he makes it nearly impossible for Donna or their children to love him; or like him. As he makes one bad decision after another, Donna is forced to question her own bad decisions and why and how she both sacrifices her dreams and enables Nick’s bad behavior. It takes a brutally violent physical attack by Nick for Donna to make the decision to leave him for good. Donna digs deep to find the strength to go it alone rather than return to the life of physical, emotional, and verbal abuse with Nick. If it means working three jobs, she works three jobs. Relying on help of her family, friends, or the charity of strangers, she accepts their help with grace; all while Nick drifts in and out of their children’s lives with the whimsy of a teenager. As Donna works to maintain stability and security for her kids, in spite of their father, she also begins to pursue the lifelong dream she’s repeatedly put on hold while she got married and started her family like the “good girls” of her era were raised to do. It may seem like a small dream, but it’s hers and she fulfills it. She goes to college and graduates. Make a donation to Stronger Than Pretty. 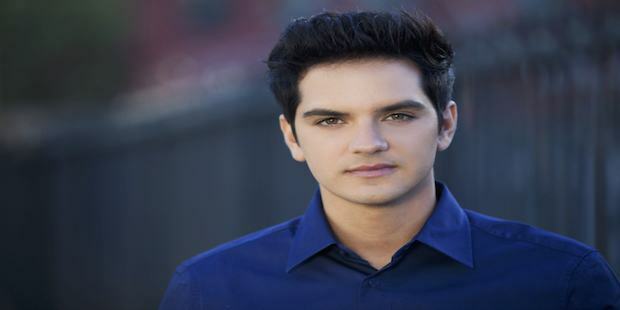 Jaret Martino, a New York native, began his acting career at an early age in New York theatre and has gone on to appear in various film and television productions, including Law and Order SVU, The Middle, 16W, Legends Of The Hidden Temple. Today his journey as an artist includes writing and producing short and feature films. Jaret Martino Productions (JMP) is an original content and third-party production company, designed for the 21st century’s media landscape. Focused on raising awareness for subjects deserving attention. Specializes in the development, production, marketing and distribution of talent-driven films, television, and digital media content. Currently, JMP’s award-winning films have been included in festivals worldwide, and now distributed on several streaming platforms. Credits include, Driven the Documentary, an empowering film about women. It has played at film festivals nationwide and received the support of companies such as Microsoft and Step Up!. Ladybug, an eleven-minute short, was featured at the Vail Film Festival 2015, and also screened in the Netflix Horror Anthology. Essential Tremors, a romantic comedy about two special needs people who find love. Shortly after that success, Jaret was approached to produce a comedy pilot, Bellz Angels, to be pitched to cable and major networks. Stronger Than Pretty is Jaret Martino Productions’ first narrative feature film screenplay and his directorial debut. His mission with telling this story is to give back to those who do so much to inspire others, first and foremost, his mom, plus the women who face adversity and find ways to overcome it. Isabella Olaguera is a New Jersey-based Assistant Director who has worked professionally on over 50 feature films, television shows and commercials since 2010. She received her first film credit at the age of 13 for an indie short her younger brother, a member of the Screen Actors Guild, starred in. Accompanying him to set offered her a glimpse into a wide range of productions: commercials, low budget indie shorts, and multi-million-dollar network series. This sparked her interest in all things behind the camera, so she began taking filmmaking classes with mentor Neal Bennett, who eventually suggested she try Assistant Directing. Throughout her high school years, she wrote and directed several internationally recognized and awarded student films. After earning her diploma from Communications High School, an arts-oriented magnet school in Monmouth County, New Jersey, Isabella chose (with her parents’ wholehearted support) to forgo the film school route and directly pursue her career. Since then, she has received AD credits for many films including All These Small Moments (dir. Melissa B. Miller-Costanzo, starring Molly Ringwald, Jemima Kirke, Harley Quinn Smith, Brian D’ Arcy James, and Brendan Meyer, 2018 Tribeca Premiere under Spotlight Narrative category), Blame (dir. Quinn Shephard, starring Chris Messina and Tate Donovan, 2017 Tribeca Premiere under US Narrative category), and Strive (dir. Robert Rippberger, with Danny Glover). She was fortunate to have first AD’d Oscar-nominated short film My Nephew Emmett (dir. Kevin H. Wilson, Jr., starring Jasmine Guy and the late L.B. Williams), and accompanied the crew to LA for its Student Academy Award gold medal win and its 2018 Academy Award nomination. Isabella recently completed her run as second AD on the Investigation Discovery television series The Perfect Murder. She had also been casting many smaller roles for the show, and always kept diversity and authenticity in mind. Isabella’s upcoming 1st AD projects include a feature project with Lifetime and of course Stronger Than Pretty. In July, Isabella will tackle her debut feature film as line producer under the stewardship of Scott Rosenfelt (producer of Home Alone, Teen Wolf, Mystic Pizza, Smoke Signals). Looking toward the future, Isabella plans to one day join the prestigious Directors Guild of America as a first AD. She is a proud member of New York Women in Film and Television, an organization that “advocates for equality in the moving image industry.” Isabella believes that age bears no indication of her talent, professionalism, and industry experience, and she actively works to disable discrimination based on age, gender and race. She hopes to inspire other young girls of color to pursue a path similar to hers. Isabella looks forward to a fulfilling lifelong career as an Assistant Director for film and television.